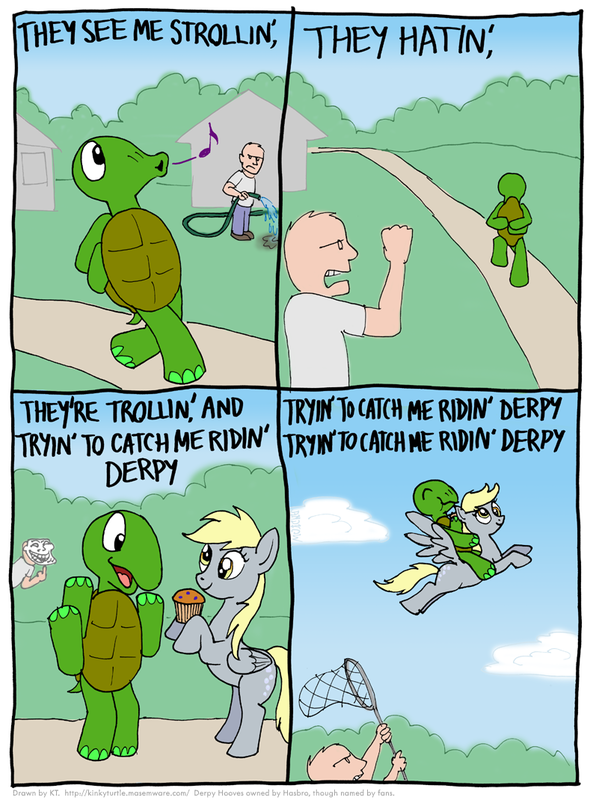 KT meets Derpy Hooves in a parody of the first verse of a Chamillionaire song. And she gives him a muffin! Awwwww. Nearby, a troll be hatin', but who cares.